Teams should enter off of Half Day Rd (Route 22), park in Lot B, and enter through the West Building Main Door. Teams that wish to withdraw before the tournament will receive no refund unless another team from the Waiting List can fill the team’s spot. If a team withdraws before the tournament due to extenuating circumstances, the Event Partner will consider whether a refund is appropriate. Refunds in this instance will be rare. In case of bad weather conditions or possible cancelations please visit the event on Robotevents.com where I will post updates about the event status as needed. Please feel free to contact me by phone if you are going to be late to the event. Match Lists will be generated as scheduled and cannot be re-run. Welcome to Stevenson High School Turning Poing Competition. This event is a Qualifier for the State Championship! Please check the Awards tab for information on which awards will qualify teams for State Championship. 1. Review the rules and run through the inspection checklist about a week before the competition so your team has ample time for adjustments. The inspection checklist can be found on the Documents tab. 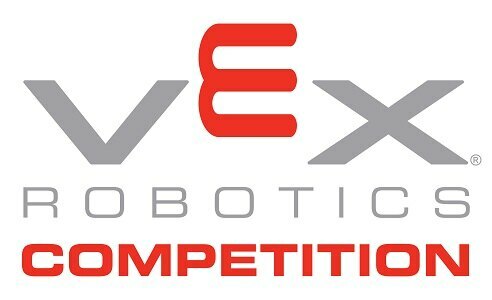 Additional information on rules can be found on the Official VEX Forums. 2. Read the document 101 Things I Wish I’d Know Before My First VEX Tournament, which can be found on the Document tab. 4. Remember that safety comes first. Please don't bring tools that pose a safety risk to your team or others nearby. Absolutely no grinding or other actions that create sparks. 6. Each player and coach/mentor must have a completed and signed Participation and Consent Form. The team coach/mentor will need to collect the completed forms for all team members attending the event and turn them in at the check-in table. The form can be found on the Documents tab. If this event is full, please feel free to add your team to the Waiting List and then contact the Event Partner (Primary Contact on the General Info tab). The Event Partner will let you know about possible openings for the event. If you are moved from the Waiting List to the Registered Teams List, please be prepared to pay for the event promptly at your robotevents.com account, or make arrangements with the Event Partner to pay directly at the tournament. Walk-up teams WILL NOT be permitted to compete, either in the tournament or to run Skills Only. There are no exceptions. If your team wishes to compete, they must register before the registration deadline.